I was on break at the staff room and I was thinking of an excellent gift to a very dear co-worker, who has just recently had her early retirement, when a fellow co-worker came bringing with him his snack. I couldn't help but notice the tempting bowl of pistachios he was carrying. 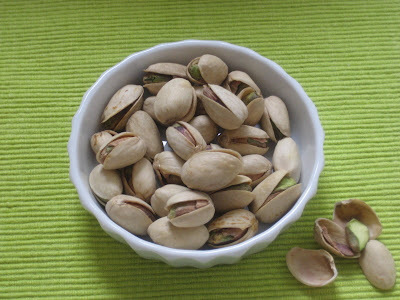 I was helping myself with some pistachios which my co-worker generously offered to me when a great idea struck me. Why don't I give my co-worker nut gifts?! I know that she'd love an assortment of her favorite nuts since she also shares my love for nuts. I know that nuts would be a great gift for her because aside from her love of nuts, it's also a great source of protein for her since she is vegetarian. I just know that she'd love the gift package that I am going to give her. Not only will she be able to eat what she loves, she'd also be able to eat healthy because nuts would be a healthy snack plus it's very low in calories. I think that I'll also get myself a few bags so that I can enjoy those awesome pistachio nuts anytime I want.